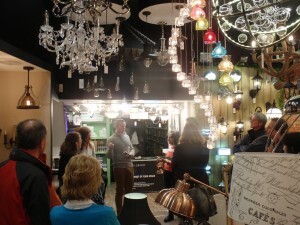 An informative demonstration of LED lighting was held at local Gloucester Rd lighting retailer Ablectrics on November 4th, hosted by Fraser Besant, who not only runs the business but is a lighting designer. Fraser’s knowledge and enthusiasm for the subject impressed the group, clearly very knowledgeable as well as a very good salesman for the range of quality products he stocks. LED technology is developing fast and he assured the audience that there are now LED bulbs for almost any light fitting you may have. 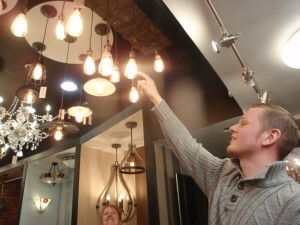 In fact he offered to deal with any bulbs brought in and did indeed show the solutions available for an unusual kitchen worktop bulb. He said you will always save the extra cost in reduced energy bills, so why would you not want to replace old bulbs with LEDs? 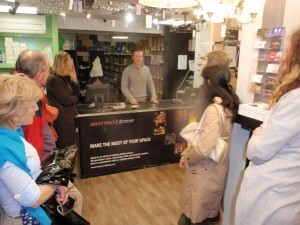 He told the group he is in constant contact with manufacturers, identifying new developments as soon as available and also feeding back to manufacturers about customer requirements, describing new bulbs he has created with manufacturers to bring innovative LED solutions to market that meet very demanding lighting temperature preferences of homes and pubs, for example, keen to offer dimmable, warm colours which his products do now offer that match old filament technology that wastes most energy as heat. He is aware that his prices need to be competitive with on-line suppliers, and has agreed a generous BCR Energy membership 15% LED products discount (NB everyone who attends an event will get this with a membership card). He will promised a refund if you buy a bulb and it turns out to be inappropriate to your needs. BCR members agreed that Ablectrics is an excellent local business that we are pleased to support. 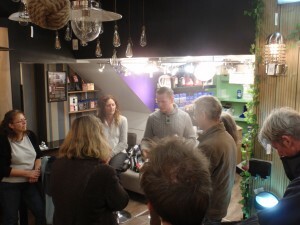 This was followed on with a Draughtproofing workshop on November 19th (held at the Kensington Arms in Redland). Nigel Walker from Easton Energy Group demonstrated a range of inexpensive options for draughtproofing different window types and the opportunity to get some hands-on practice on a window frame. Preparations are now underway for these to begin in December. Funded by a local grant these are internal surveys with suggestions that get recorded onto CD and left with the householder. Priority for the initial free surveys that are piloting the project are ebing given to those on low incomes – a form has to be completed. The group is still very keen to identify people who are on low incomes and might be eligible for a free energy survey. I attach our latest publicity leaflet. Please pass this information on to anyone who might be interested in a free or paid survey.